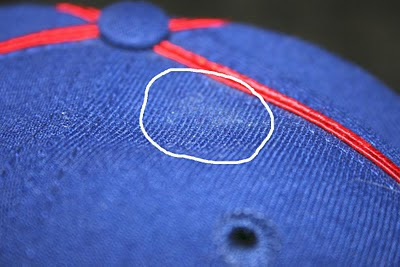 Baseball Caps and Hats are very susceptible to mold. 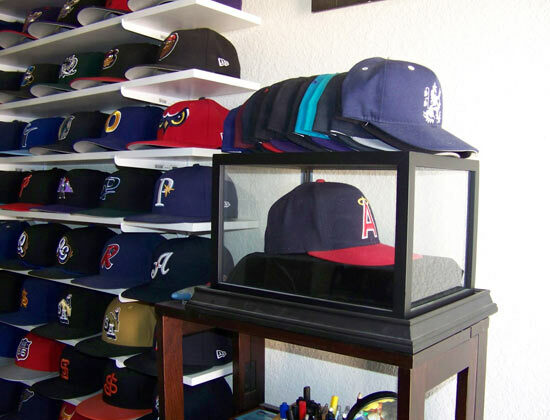 Baseball caps and hats are the perfect way to show support for your favorite team/player, and is also a stylish accessory to complete an outfit. 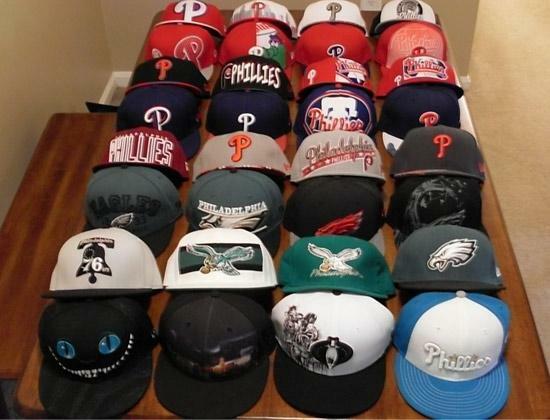 If you are a sports fanatic, a baseball cap collector, or just simply likes the style, you probably own more than one cap/hat. 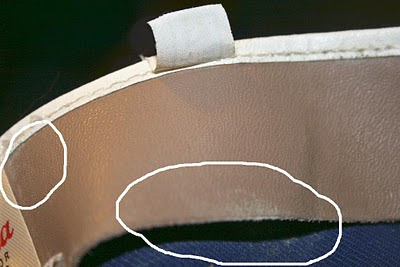 However, when hats are stored in a high moisture environment, mold spores will develop, especially on the sweatband. Mold can cause health complications and are difficult to clean. 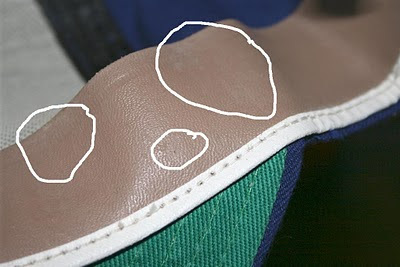 Combined with warm climates, sweat absorbed on the sweatband will provide the perfect breeding ground for mold spores. 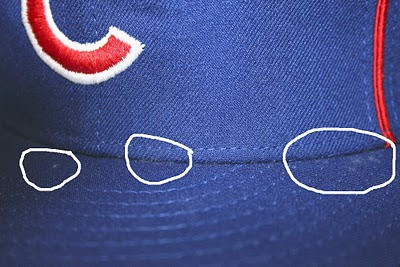 Baseball caps are not meant to be washed, especially collectible ones. 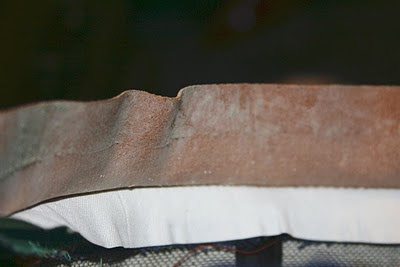 Once mold spores develop, it will be cumbersome to get rid off. 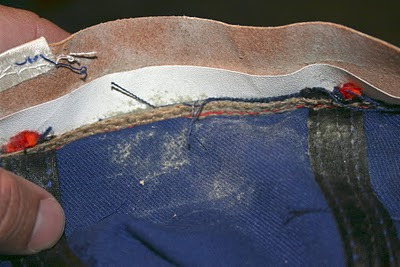 If you only own a couple of hats, it won't be difficult to clean and manage to prevent mold development. 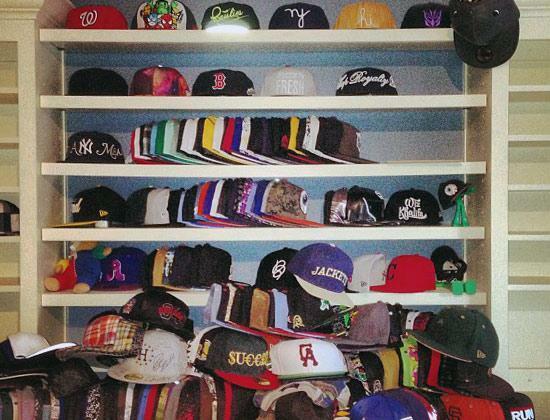 But when you own a full collection of hats, constant cleaning is unlikely especially if you are on the go. 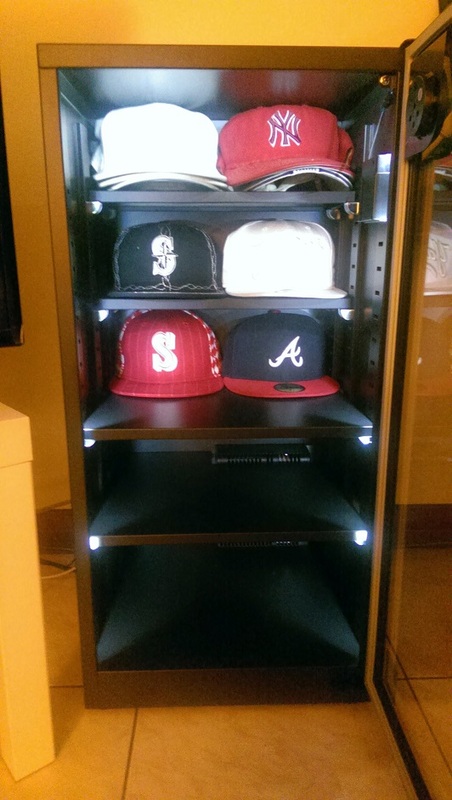 Eureka's Auto Dry Box will provide you with the perfect moisture controlled storage solution for your hat collection. 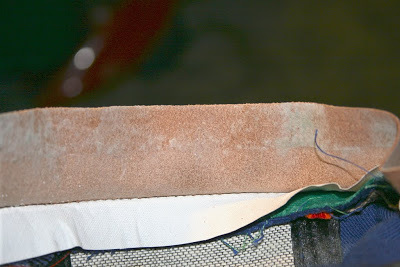 Preventive measures is the best defense to keep mold spores from developing. Eureka's dry cabinet, dry box, and desiccator cabinets are available in various sizes and shapes. Fully automatic moisture control with multiple height adjustable shelves. 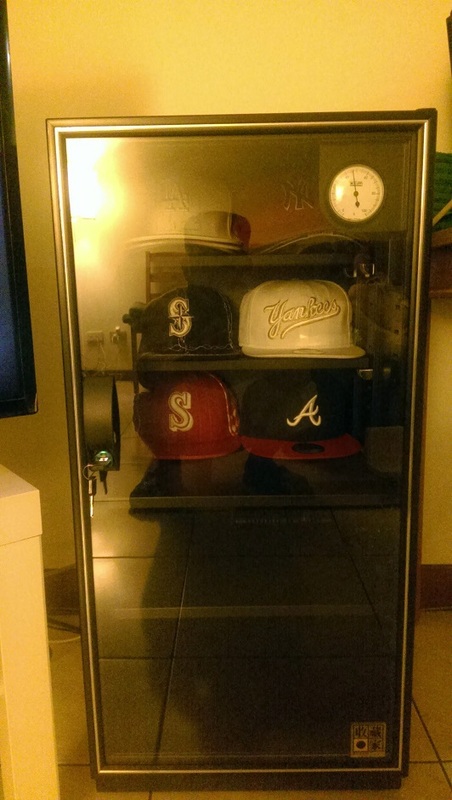 Tempered glass door allows you to display your favorite hats while protecting it from mold development. Consumes minimal power and dehumidifies without any noisy fans. No water tanks to empty, no consumables to replace. Please for more information, or visit our section to find a dry cabinet suitable for your collection.